Sandy Geroux, with The Wow Place, to be the keynote speaker at the AAPI 2017 Convention & Trade Show…A lifelong student of human motivation, Sandy Geroux always strives to create WOW experiences for everyone around her, and her programs focus on helping others do the same. She has learned much of what she knows about respect, humanity and leadership through working in the corporate environment for 18 years, and through owning her own businesses since 1995. She has a Masters of Information Systems Management degree with an emphasis on Marketing and is author of three books as well as contributor to numerous professional publications. She combines real-life entrepreneurial, entertainment, training and speaking experience with knowledge. 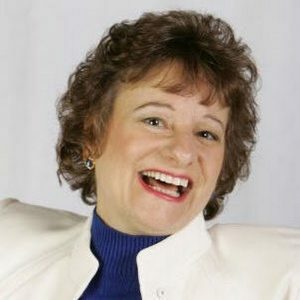 That makes her uniquely qualified to not only inspire diverse audiences to achieve the success they desire, but give them practical ideas, tips and tools to help individuals succeed with their personal dreams while helping their organizations accomplish their top- and bottom-line objectives. As our keynote, Sandy will deliver a fun and WOW educational experience. She will use her background to help AAPI find and close gaps that prevent our employees from delivering WOW service. 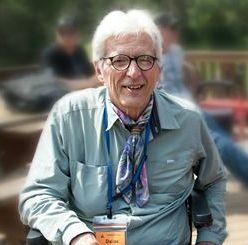 Dallas Wade Dietrich died October 29, 2016 at age 68. He and his wife Mary owned and operated several businesses in Rapid City, Spearfish and Keystone, South Dakota including Goodtyme Photos, which has been a member of AAPI since 2014. 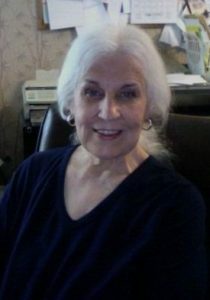 Gail Pierce Larimer passed away November 19, 2016, one day after her 78th birthday. She was born November 18, 1938 in Stigler, Oklahoma to William and Kathleen Pierce. She and her late husband Ted (who passed away in 2007) owned and operated the Eureka! Connection. 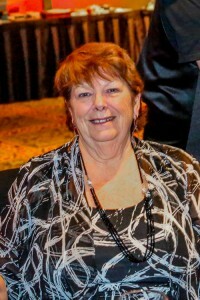 Gail was the Executive Director for AAPI from 1995 to 2010. Gail will be missed. 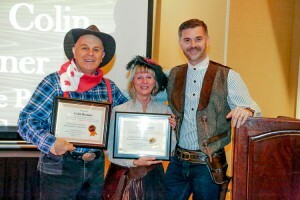 Carol and Colin Branner of My Antique Portrait Studio in Calgary were honored with the Antique & Amusement Photographers International Service Award. The award was present to the Branners on February 3 at the association’s 2016 Annual Convention & Trade Show in Las Vegas, Nevada. The AAPI Service Award is presented annually to a member or members who have gone above and beyond to help the Association. The Branners’ exemplified the award. They both have been a member of AAPI since 2008 and in that time they have served on various committees and helped behind the scenes at the annual conventions. Carol Branner was also elected to serve on the AAPI Board Directors for 2016 – 2018. The Branners’ have owned and operated My Antique Portraits, a mobile studio, in Calgary for over ten (10) years. Their mobile studio travels around to different events and fairs throughout Alberta, Canada. For more information on My Antique Portraits, you can visit them online at http://www.myantiqueportrait.com or email them at info@myantiqueportrait.com. Ruth Short formerly of Short Takes Old Tyme Photos was honored at the 2016 Antique and Amusement Photographers International Convention & Trade Show held February 3 in Las Vegas, Nevada. Short was inducted into the AAPI Hall of Fame, one of the association’s highest honors. Short, with her late husband Dana Short, were owners of the former Short Takes Old Tyme Photos studio in Plymouth, Massachusetts. The studio closed in 2013. The AAPI’s Hall of Fame recognizes those individuals who have made an important contribution to the old time photo industry and to Antique and Amusement Photographers International Association and are no longer in the industry. AAPI is a professional association for photographers and vendors specializing in souvenir photography including antique or “Old Time Photos,” special events, historical re-enactments, and amusement portraits. Members are located throughout the United States and Canada, as well as several other countries. For more information, visit the AAPI website at oldtimephotos.org. 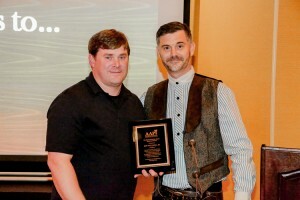 Jeff Mulvihill, Jr. with instaimage Photography in Northern Nevada and Doc Wenzel’s Old Time Portraits in Monterey California, was recognized with the prestigious Martin & Bertha Glaser Memorial Award at the 2016 Antique and Amusement Photographers International Convention & Trade Show in Las Vegas, Nevada on February 3rd. The award was presented to Mulvihill by Derrick Gillikin, the 2016 AAPI President. 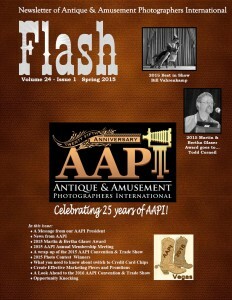 The Martin & Bertha Glaser Memorial Award, the highest honor in the Antique & Amusement Photographers International Association, is bestowed annually to a member who has given years of dedicated service to AAPI and the Old Time Photo industry. Mulvihill exemplifies the award. He has been a member of AAPI since 2004 and in that time he has served on various committees and the Board of Directors. Most recently, Mulvihill served as the 2015 Chair of Communications and 2014 Treasurer of AAPI Board Directors. He helped revamp the Association’s website and has introduced new methods of communicating with members. Mulvihill has owned and operated instaimage Photography, a sports, portrait and event photography business in Northern Nevada for over thirteen (13) years. He opened his Doc Wenzel’s Old Time Portraits studio in Monterey, California in 2007 which is located in the 700 building on Cannery Row in Monterey. Previously, the studio was located in South Lake Tahoe for over 20 years. For more information on instaimage, visit http://instaimage.com. For more information on Doc Wenzel’s Old Time Portraits, visit http://docwenzels.com. You can find some photography events and some business opportunity under the Members Only Opportunity Knocking…check it out. The Photo Contest Entry Form for the upcoming Photo Contest have been posted, you can click the link in the Photo Contest menu at the top or click the link below. The Rules (some changes…) and Categories (no material changes but some clarifications…) have been posted under the Photo Contest menu. Please take a good look at them before you get involved with your season so you can start keeping an eye out for that next blue ribbon entry! Look for the Spring Edition of the 2015 FLASH in your mail. Second (tie) – Angela Isaac with Instant Ancestors, Inc., Kissimmee, FL.